Award lapel pins help strengthen an employee’s confidence when they know their efforts do not go unnoticed. Small companies and large corporations benefit from building a level of respect with employees. Lapel pins offer a way for businesses to award employees for their hard work and dedication. A lapel pin is a perfect recognition award for employee of the month, perfect attendance or best salesperson. Establishing a relationship with employees and creating an environment of trust and commitment is vital. A single logo displaying the company name that each member can wear on a daily basis will bring a sense of team building within a business setting. Embellishments and messages can create a distinct look for each pin; this helps to make each person’s lapel pin customized for that person’s specific accomplishment or goal achieved. Businesses realize the importance of ordering high-quality products; especially, when these products will represent the company and will be given to respected co-workers, employees and management. Lapel pins are heartfelt endearments that are treasured by the person who receives it. It is important that a pin design represent the mission and direction of the company both now and in the future. Logos may be designed with many different looks and style. Lapel pins are collectible and people love the beautiful, bold messages and logos. Each one is unique and is representative of a way of life; a dedicated work ethic, affiliation to certain political organization, or even a favorite sports team is often represented within a tiny but elegant pin. Award lapel pins are perfect for encouraging youth, remembering seniors and war veterans, and as memorials to lost loved ones. The most desired pins are colorful, and eye-catching, especially those constructed of high-quality materials. Lapel pins are manufactured to last a lifetime. You can add a spark of rivalry and increase motivation by having opposing teams sport pins before and after a competition. Fans can join in on the fun, with their own pins to support their favorite team, as well. Whatever the occasion, lapel pins will make it even more memorable for everyone involved. Private clubs and organizations are easy to spot when the members are wearing exclusive “club members only” lapel pins. Lapel pins are perfect to display your loyalty and show the world which organizations you support, where you work, and how you are proud to share a little about yourself with others. Traditional pins have been most popular in the past. However, in these most recent times the choices are much more broad. Lapel pins can have intricate patterns and fine details “etched” onto the pin with beautiful results. In some cases, a lapel pin will have a plastic dome to help protect the pin from wearing out. 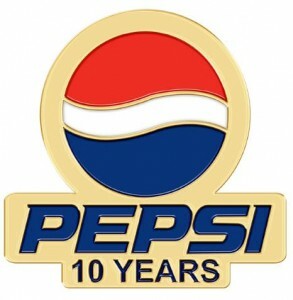 PVC plastic is used to create dimensional lapel pins; these pins are available in 2D 3D, and full relief. Bold colors make lapel pins very popular with children. Children are drawn to the cartoon designs and bold colors; however, this product may not be suitable for very young children and babies. Award lapel pins work perfectly to promote goodwill in any community. Fund raising events are easy to promote with the help of these handy little gems. New products are hard to promote, as well. Luckily for promoters, lapel pins easily spread the word about any product or service without uttering a word. An ink pen is only seen when used; however, a lapel pin is in constant view and thus, is much better as a promotional product. Souvenirs are special to those who desire to remember a special day or a memorable event, such as a family reunion, group outing or vacation. Lapel pins can help your guests, family, and friends take home a special memento of good times spent together. Hand out lapel pins with the family name, or a favorite saying on them for everyone to wear, while together. To bring a little humor to the event; award lapel pins on the last day or at the end of the day with awards for funniest, friendliest, and perhaps even the grumpiest member. Patriotic lapel pins have been popular for many decades. These pins are perfect when worn for the Fourth of July as well as for Flag Day, Memorial Day and Presidents Day. Individuals who like to support the United States of America and the military will appreciate the ability to display their love for home, hearth and country on their lapel. In some cases, customized lapel pins even light up. Nothing will cause more enthusiasm than a patriotic American flag that is brightly lit at night. The icing on the cake is that consumers can purchase magnetic lapel pins; these pins do not utilize a sharp pin to poke through expensive fabrics, a sturdy magnetic clip holds the pin securely in place. This type of award lapel pin is commonly very inexpensive, making it very attractive to those consumers and businesses on a budget. Educational award lapel pins are a perfect and affordable award for a child, a teacher or a teaching assistant. Anyone in a school system would love to receive such an accommodation as one of these handsome pins. The principal, librarian and even the gym teacher are all great candidates for an award of this type of pin. Award lapel pins, such as apples, an A+, writing quills, or even the word ‘mentor’ will all convey, exactly, how you feel about a specific person, and their amazing accomplishments. A pin will says it all. The choices are seemingly endless when shopping online for award lapel pins and these pins are affordable. Award pins are of made of stunning quality, and in some cases, a jeweler may create these outstanding memorabilia. Precious and semi-precious stones are placed on award lapel pins when given for anniversaries, retirement and special occasions. Faithful employees who have stuck with a company for decades have customarily awarded to show appreciation for many years of dedication and hard work. A family will treasure and pass on from generation to generation a pin that represents the devotion and commitment that their family member made to a company, organization or charity. Lapel pins are a symbol of pride and each time one is worn it delivers a feeling of accomplishment. For collectors, there could be nothing better! Small, beautiful works of art; lapel pins are collectible for their size, their color and their unique beauty. People love to collect a variety of pins and in some cases, only certain kinds of pins. State flag lapel pins are as popular now as they were in the last century. World flag lapel pins are collected internationally. The selection available to consumers is now more customized than in the past with the help of new technologies. Support pins are always a hit with consumers as well. A yellow ribbon as a memorial, a pink ribbon for breast cancer, red for heart disease, a POW ribbon for those in the military who have not yet returned home, lodge pins and more are easily purchased online. Raising awareness for your particular cause is easy and affordable, even for those groups and organizations that require a large order. You may be assured you will receive the highest quality lapel pins; award lapel pins of this caliber can be worn again and again. Novelty pins and risque pins are sometimes the most fun to collect. Biker and skull lapel pins are edgy and cool. The selections are good, and the prices are right; it is a buyer’s market, a slow economy equals, better prices for consumers. Our lapel pins are always manufactured of the same high-quality products, regardless of price. Pin savers or pin backs are easy to purchase online. All award lapel pins are shipped with pin backs; however, if a pin saver or pin back is lost or misplaced, a replacement is right there online ready for you to order at any time. Prices are moderate and consumers save a lot of money when buying in bulk. Smart consumers will purchase their award lapel pins from the internet. In many cases, online merchandisers will offer free shipping at various times throughout the year, and this makes shopping online even more attractive. Lapel pins are a meaningful and thoughtful gift that will bring goodwill and good memories for those who wear them. From start to finish, most orders are complete and ready to ship within a week or so. Supreme attention to detail is given to all orders regardless of quantity. An award lapel pin is easy to order, easy to wear and easy to change. Support your favorite basketball team in the morning and your favorite football team in the evening. The choice is yours and with the help of the World Wide Web, ordering and receiving your lapels pins will be easy and fun. Perhaps the hardest part is choosing what color pin to order, which team to support, and how many pins to order first!